The lithium revolution continues to deliver positive investment sentiment for Australian-based lithium developers. In this instance, Caeneus Minerals (ASX:CAD) has updated the market regarding its prospering lithium intentions in the US. 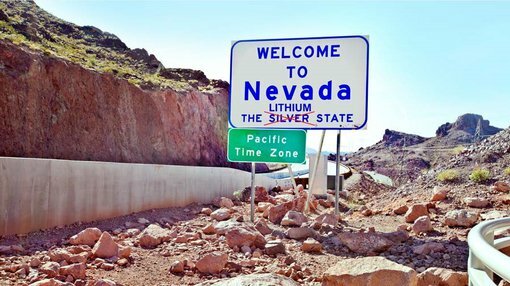 In a well-received exploration update, CAD says it has tapped “one of the most significant lithium finds in Nevada outside the Clayton Valley”, at its Columbus March Project in Nevada, USA. The Columbus Marsh Project is situated adjacent to the main North-South highway that links Las Vegas with Reno. More broadly, CAD has access to two prime projects in the region, surrounded by significant lithium-producing activities being done by industry peers such as Pure Energy, American Lithium and Albermarle. Two drill holes were completed at the Lida Valley Project as part of the Phase One Drilling Campaign, and have led to the “discovery of highly anomalous concentrations of lithium brines within a shallow aquifer at the Columbus Marsh Project”. Lithium bearing brines were intersected at a depth of 79.25 meters (260 feet) and continued to a depth of 103.63 meters (340 feet) resulting in a width of the aquifer of 24.38 meters (80 feet). Assays, immediately conducted after completion of Phase 1, reveal brine grading at a high of 95.9 mg/l lithium (95.9ppm Li or 510.5ppm LiCO3 equivalent) with a minimum of 56.3mg/l lithium (56.3ppm Li or 299.7ppm LiCO3 equivalent). 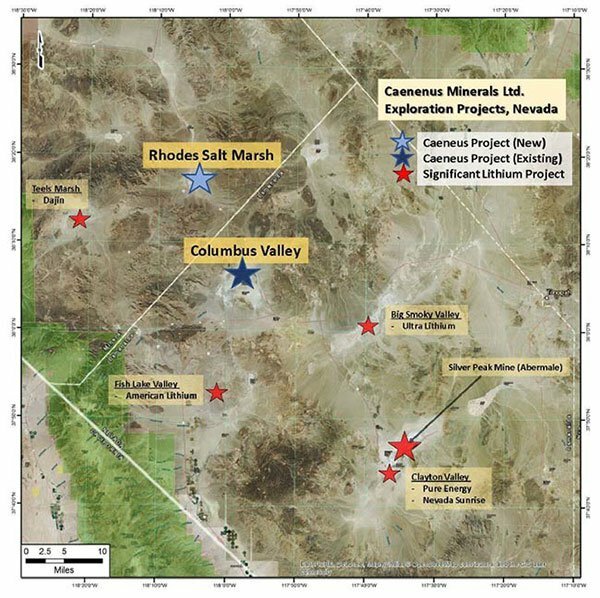 Potentially quite significant, is that CAD’s assays also graded up to 3,670mg/l potassium and 1,100mg/l boron, indicating firm chances of other commodities being found in commercial quantities fom CAD’s ground in Nevada. Today’s market announcement from CAD could be significant for its development as an aspiring lithium developer. If CAD were to achieve its ambition of getting into lithium production at either its Columbus Marsh or Rhodes March Projects, lithium it would be relatively simple to move extracted lithium ore from CAD’s sites, to potential end-users such as the Tesla Gigafactory near Reno just 250 kilometres to the North. Mr Elliott is a qualified geologist with over 30 years’ experience in mineral exploration. He has held Directorships at several publicly-listed ASX companies, with experience in multiple commodities across the glove including within Australia, Asia and North America. Mr Elliott was also the co-founding director of Helix Resources Limited (ASX:HLX) and founding director of Talisman Mining Limited (ASX:TLM).